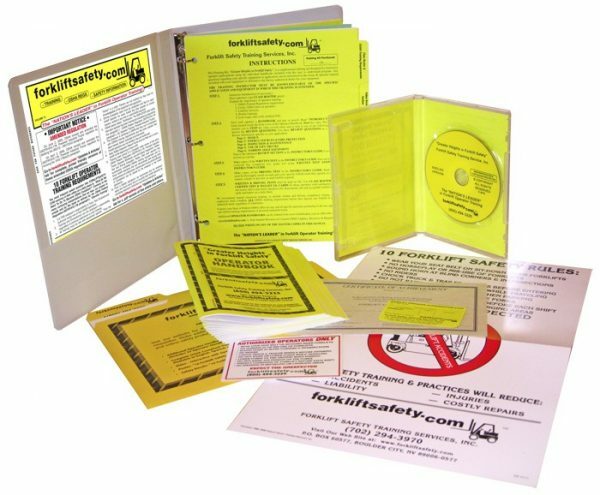 Our dynamic, interactive English Forklift Safety Training Kit has been developed to provide a simple, easy to understand program that will help your business complete forklift operator training in just two hours! The forklift safety training kit includes our award-winning interactive DVD “Greater Heights in Forklift Safety.” Anyone can present the training – no instructor certification is needed. 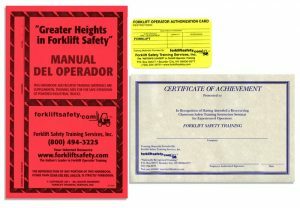 Once drivers achieve their forklift certification, a reproducible “31-day Inspection Form”, two (2) “Forklift Safety Rules” posters and one (1) “Authorized Operators Only” decal will help you to reinforce OSHA Compliant rules, and training standards. 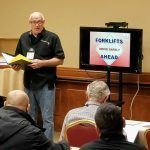 Our experience in the forklift safety training industry spanning 25 years, has allowed us to assist in the training of thousands of forklift operators nationwide and ensure your business is equipped with OSHA compliant forklift operators. 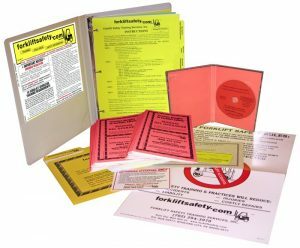 2018 OSHA Compliance – Operator Safety – Business Owner Protection. We have you covered! 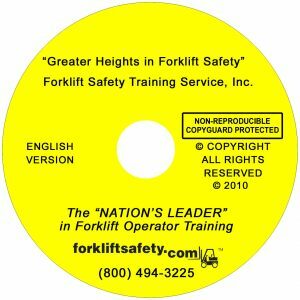 This will help you to reduce your per operator training costs and increase the efficiency for completion of the course! 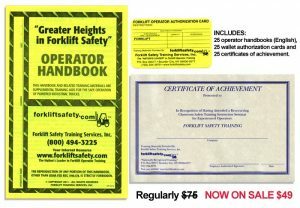 For more information on forklift certification and industry standards visit our OSHA library today!